Soundwaves DJ Entertainment does more school dances than any other DJ entertainment company in York, Harrisburg, Lancaster, Baltimore and Westminster Maryland! There is a reason SoundWaves Entertainment is requested at schools in York, Lancaster, Harrisburg, Baltimore and Gettysburg more than any other DJ service in the area! We Rock School Dances! Our DJ’s have nightclub and radio experience and have even played on “mix shows” on local radio stations! We have all of the latest hits even before they are played on the radio! All of our School Dance and Prom packages include a FREE Special Effect Lighting Package with sound reactive nightclub type lighting effects, green lasers and more! We also provide Photo Booths, a Photo Lounge that can accommodate 10 students per photo, Up Lighting, Giant Screen Music Video Shows, Custom Monogram light with your school’s name or event theme and much more! Soundwaves Entertainment will top your last dance, we promise! Take your next school dance to another level with today’s hottest music videos broadcasted over the crowd! See Why Soundwaves DJ’s do more school dances than any other DJ company in Central PA and Northern Maryland! 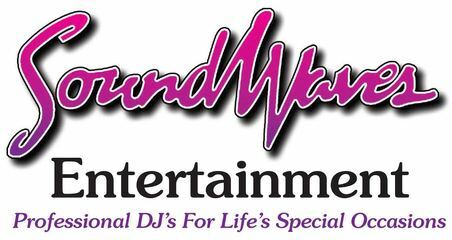 Soundwaves Entertainment is York, Lancaster and Harrisburg’s most requested DJ’s for School Dances, Proms, Homecoming Dances and all types of school events! Our DJ’s specialize In High Energy School Dances and will create an experience like no other! Our DJs have radio and beat mixing experience and some have even done mix shows on local radio stations! We promise they will ROCK your next School Dance! The Soundwaves Entertainment music library is constantly being updated weekly to ensure that we have the most current and hottest hits! We only play the “clean” or “radio edit” of today’s popular hits to ensure the music is appropriate for a school function. We are a member of the School Dance Network which is a group of responsible DJ’s that are dedicated to improving school dances by playing “Safe” or “Clean” music. This website provides a monthly list of “Safe” school dance songs! Click on the link to see the list! We have an easy online music request system so students can log in and add song requests or even create a “Do Not Play” list prior to the day of the dance. Your DJ will also take and play appropriate song requests! We also have Photo Booths, a Photo Lounge which can accommodate up to 10 students per photo, A Giant Screen Music Video Show, Flat Screen TV’s, Up Lighting Packages, Green Lasers, Confetti Canon, Bubble and Snow Machines, and our NEW “Dancing On A Cloud” Low lying dry ice fog effect! At Soundwaves Entertainment, we custom built each package with only the services that you are interested in having for your School Dance or Prom. When booking with Soundwaves Entertainment, you also receive access to our helpful online event planner, so you can log in and select or modify song requests and your event details prior to the day of your event. Below you will find a list of services that all of our School Dance & Prom DJ Packages include. Click on the Request A Quote button below to get a customized price quote for your School Dance, prom or Homecoming Dance! Fully customized music selection for your event from our Most Requested Song Lists. You choose the songs that you prefer your DJ to play or the songs that you think your guests or students might like as well. You can also provide a “Do Not Play List” of specific songs or types of music that you prefer not to have played at your dance. Our Special FX Lighting Package is included “Free” with every booking! The Special FX lighting featuring strobe lights, mirror (disco) ball, fog machine, bubble machine, intelligent lighting with GREEN LASERS!!! This package includes different types of sound activated lights that create moving beams of light that react to the beat of the music! 24/7 access to our Online Event Planner Software. You can create an account and add songs to your playlist and even change your event details from home, school or your phone! Your DJ will also interact with the students on the mic to motivate the students to join in and participate in interactive dances such as Cha-Cha Slide, Cupid Shuffle, Apache (Jump On It), Wobble, Cotton-Eyed Joe and more! Of course, these dances are optional! All prices and packages include set up and break down of equipment. We arrive 2 hours prior to the event start time at your venue for set up and a sound check.